The BBS English course is a two-pronged English course emphasizing the core areas of reading and writing along with a strong communication component. It is designed to help students get ahead fast with their general English skills in interdisciplinary contexts with the lessons covering important vocabulary, grammar, reading and writing, listening and speaking skills for general and technical English. It is a theme-based course with comprehensive coverage of English language and critical thinking skills. Authentic listening and reading materials provide models for up to date language, grammar, and vocabulary. This component of the course carries carry 40 marks. Nissani, M., and S. Lohani. Flax-Golden Tales: An Interdisciplinary Approach to Learning English. Shorter Edition. Kathmandu: Ekta, 2013. (Sounds of English and Stories and Poems on CD). This component of the course carries carry 15 marks. Savage, Alice, and Patricia Mayer. Effective Academic Writing 2: The Short Essay. Essay. Oxford: OUP 2005. Smalzer, William R. Write to be Read: Reading, Reflection, and Writing. Second Edition. Cambridge:CUP, 2005. Haynes, John. Style. London and New York: Routledge, 1995. The suggested teaching method is to introduce the theme and the writing task and then guide the students to practice specific skills and put language knowledge to produce their own writings. The recommended approach is to view the books not as mere language texts but to introduce students to many disciplines, to expand their intellectual and spiritual horizons, to underscore the nobility of humanity's never-ending search for truth, beauty, and compassion. The goal is, therefore, to teach language skills along with insight and wisdom. The specific methods are also suggested in the course books and teacher manuals, and it will prove valuable for teachers to follow them. A useful method will be to introduce the theme and the writing task and then guide the student to practice specific skills and put language knowledge to produce their own writings in different genres using appropriate styles. The examinations will cover the language skills and include a range of tasks which assess students' ability to use English in a variety of contexts. Above all, he examinations will assess the students' ability to communicate effectively in English, especially in reading and writing activities using appropriate writing style. Carter, Ronald, and Michael McCarthy. Cambridge Grammar of English. Cambridge: CUP, 2006. Crystal, David, ed. The Penguin Encyclopedia. 3rd rev. ed. Penguin Books, 2006. Effective Academic Writing 2: The Short Essay. Answer Key Booklet. Oxford: OUP, 2006. Oxford Advanced Learner's. Dictionary of Current English. Eighth Edition. Oxford: OUP, 2010. Smalzer, William R. Write to be Read: Teacher's Manual. Second Edition. Cambridge: CUP, 1996. Thomson, Anne, Critical Reasoning: A Practical Introduction. Third Edition. London and New York:Routledge, 2009. Thomson, Anne. Critical Reasoning: A Practical Introduction. Third Edition. London and New York:Routledge: 2009. 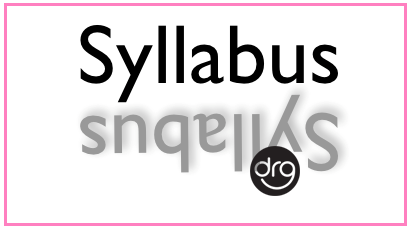 0 Response to "Complete Syllabus of Business English | MGT 201 | BBS 1st year (4 Years)"